The unmatched power and durability of the innovative DMX Series portable mixer begins with the Cyclodial Speed Reducer, or “Cyclo® Drive”, at the heart of the design. The Sumitomo Cyclo® Drive is unique and is unsurpassed by any other inline drive available in the market today. Cyclo® drive geared motors are characterized by their reliability, long service life and outstanding efficiency, even in the most severe applications. By using the Cyclo® Drive, the DMX Series is able to withstand shock loads exceeding 500% of their rating and transmit load distribution uniformly over the power transmitting components. The key to Cyclo® Drive’s matchless performance and reliability is that 67% of the reduction components are in contact at all times, compared to traditional geared designs that use only limited tooth contact. Since the Cyclo® Drive operates with rolling force, it is not exposed to shear forces. This makes it superior to traditional gear mechanisms. The eccentric motion of the input shaft mounted cam causes the disc to roll through the inner circumference of the ring gear housing. As the shaft rotates, there is one more roller pin in the housing than there are lobes in the disc. This enables a rotating motion, and in turn, the reduction in disc speed. As the discs follow the clockwise path within the ring gear, the cam and high-speed input rotate counter-clockwise, one roller pin for every complete rotation of the cam. The smooth, rolling compression of the Cyclo Drive removes the shear and slipping problems related to traditional tooth gears. This robust configuration and inherent concentric shaft design means it can do the same job as conventional reducers, but with a smaller unit. This Cyclo Drive is available with speeds of 300 RPM, 159 RPM and 83 RPM, which (when matched with a suitable impeller design) produces the performance required by the most demanding industrial process. Recommended for tanks ranging in volume from 300 to 3,000 gallons, the DMX Series is available with the standard NEMA C flanged motors from 1/4HP to 2HP in both electric (TEFC, XP, and variable speed) and air. Lower speed options of 159 RPM and 83 RPM keep the shear rates down and reduce the required horsepower. Combined with a wide range of impeller choices, from high efficiency DynaflowTM impellers, to pitched and radial blades, processes can be optimized to the maximum with minimal horsepower. 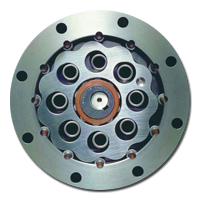 Mounting configurations include clamp, plate-inclined plate, and flanges (both top and side) to suit the requirement of any application. Aside from stock stainless steel, DMX Series portable mixers can also be constructed using other machinable metals and coated materials to protect against corrosion and abrasion. 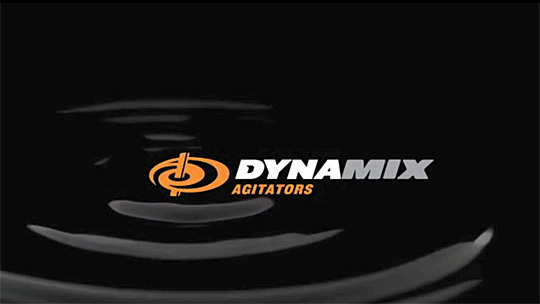 Dynamix engineers each mixer to provide the desired process results. For more detailed information, visit the DMX Series portable mixer page. We had some issues with our sizing information but the attentive and helpful Dynamix team was available with solutions.